Pacifica Affiliate, KZFR Radio, was nearly blown sky high and not in a good way. On November 8th, 2018, the station, located in Chico, California, received an unusual phone call from a listener, describing an ominous plume of smoke off in the east towards Paradise, California. The listener quickly hopped on their scanner and verified that a fire had indeed broken out. The station didn’t second-guess the caller and went on air immediately to warn listeners of the wind-driven fire which had gone from one-hundred acres to a thousand to two-thousand in the span of fifteen-minute increments. Rick Anderson, the general manager of KZFR, noted that off in the east was what looked like a tumultuous volcano. Over the next 48 hours the station went into “emergency mode,” interrupting all regularly scheduled programs to cover the status of the fire. KZFR became a news platform despite not having the hired personnel to do so. All media platforms across Chico were being utilized to warn the community. The sheriff’s department was posting tweets to update the public on what was happening and also to tell all to evacuate. KZFR read those tweets aloud to listeners. CAL FIRE, the California Department of Forestry and Fire Protection, had their planes and helicopters covering the area. Normal fire months in California range from April to October. This rare November fire, displacing around twenty-five thousand residents, taught everyone that there’s no safe time of year. KZFR would have lost everything were it not for the preparation of CAL FIRE. 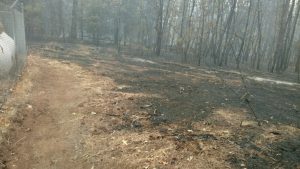 Last year CAL FIRE had gone to the transmitter site and built a berm. This kept the Camp Fire from getting too close to the propane tank, which runs the radio station’s generator. 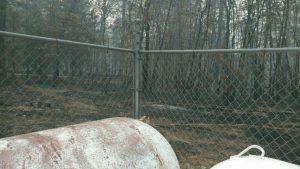 Even after the fire had gone out, it was too dangerous for any of KZFR’s staff or volunteers to go near the transmitter site. This left the generator without proper maintenance and quickly running out of fuel. Were it not for the dedicated workers of Pacific Gas and Electric (PG and E), the station would not be on air. PG and E called the day the fire had taken place to ensure that the station was doing fine. When they learned that the generator was low on power, they sent someone out immediately with a spare generator. The representative stayed on site until they were positive the station would be fine. Although PG and E has recently come into question for having partial responsibility of the Camp Fire, Rick experienced that on a personal level, the employees couldn’t have been more supportive. The station is still running on PG and E’s generator until they are able to install their own, which was recently donated by musician Darrell Scott, who has been interviewed by the station and is regularly streamed on their airwaves. KZFR began in 1990 and has created a strong sense of community with around seventy-five volunteers. The station focuses mainly on music programming, which is why when countless musicians lost their instruments, amps and other equipment in the fire, the station began a fund for them. So far they’ve raised around twenty-three thousand dollars and have helped forty-four musicians to restore a portion of what they lost. They have hopes of helping around thirty more performers, even the ones who only play for the birds and squirrels in their backyard. To stay up to date on recovery efforts, tune into Camp Fire Updates with Matt Fidler at http://kzfr.org/campfireupdates. This entry was posted in Affiliate News, News by Ursula. Bookmark the permalink.